When I was younger I always remember Valentine’s Day being special at school. 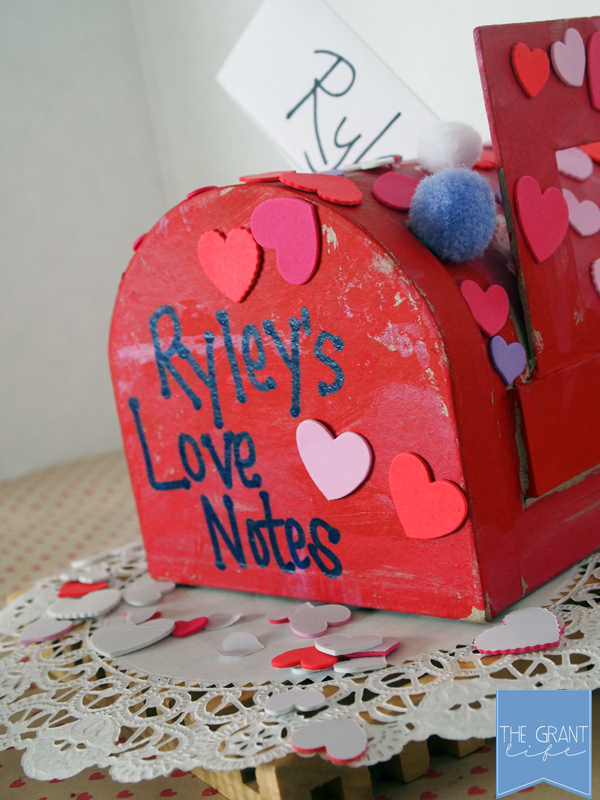 My favorite part is when we would make something fun to hold our cards from our classmates. 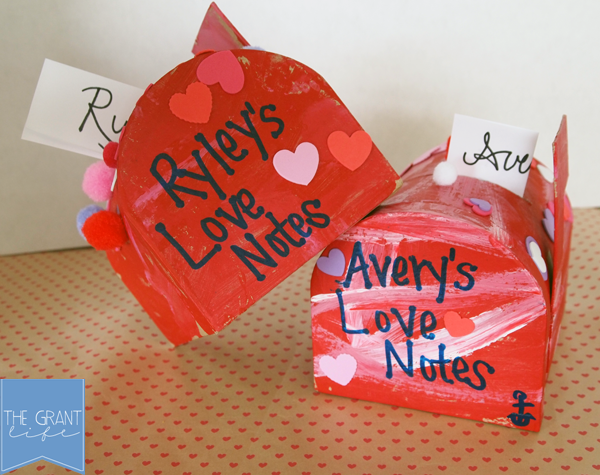 I think this is a great activity for kids so I decided we need to make some easy Valentine’s mailboxes. 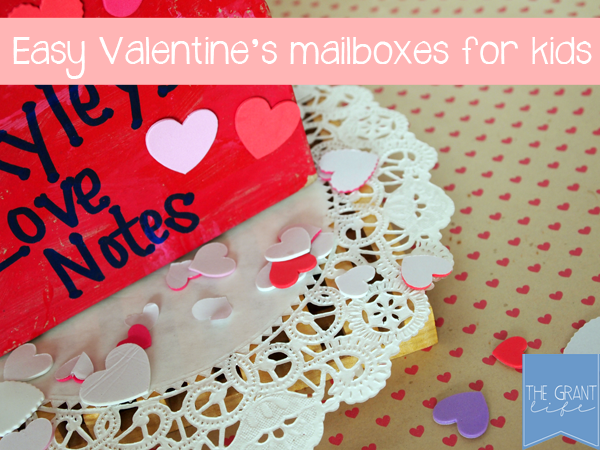 Our Valentine’s mailboxes are not only cute but they were also very inexpensive! The total project cost under $10 for both. 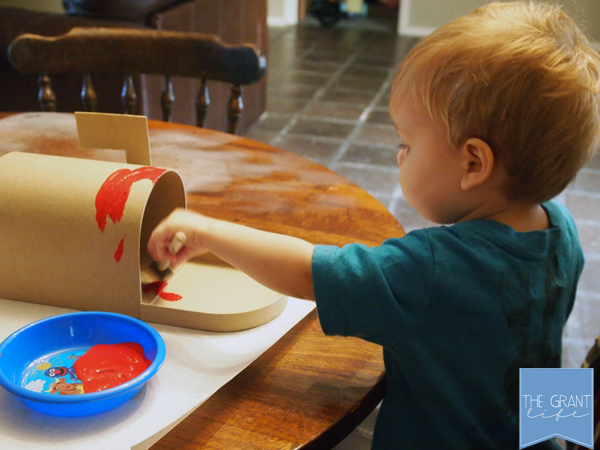 I found paper mache mailboxes at Hobby Lobby for $5.99 plus an additional 30 percent off – so I grabbed two! When we got home we painted them red, white and pink and let them dry overnight. We glued on heart stickers and pom poms that came from the dollar bins at Target. I’m glad I grabbed them because they were perfect for our mailboxes. I cut a slit on the top of the mailbox so I can slide little love notes right in. I tried using scissors but it damaged the top a little so I switched to a bread knife. It worked great. 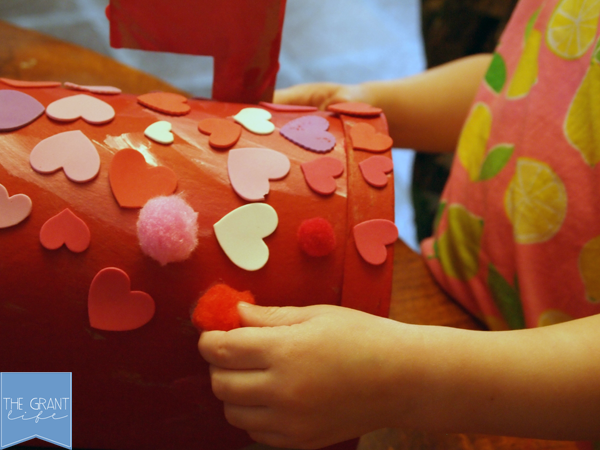 The kids had so much fun decorating their mailboxes but they loved finding things in them even more. Now I can leave sweet notes for my babes whenever I want.